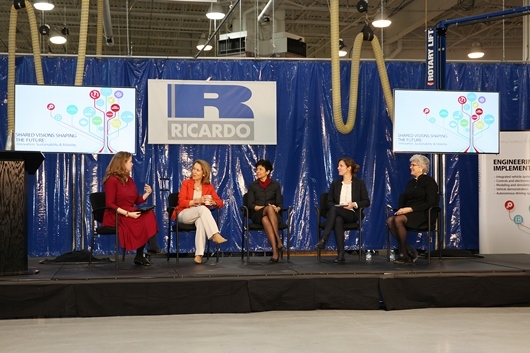 With increasing scarcity of global resources and rapid urbanization, the fact that average global vehicle fleet utilization currently stands in the region of just 4 percent must surely point to a need for a new and more environmentally and economically sustainable model of personal mobility – these issues and more were addressed by a panel of five women who are amongst the global auto industry’s most influential thought leaders, who shared vision on trends, economics, policy, strategy, and entrepreneurism at an exclusive Ricardo symposium, hosted in association with PBS Detroit. With the UN projecting that the world’s population will rise to over 9 billion by the year 2050, and with a likely consequent rise in the total number of vehicles approaching 80 percent, the current levels of utilization can surely not be either economically or ecologically feasible. This was just one of the arguments by the panel at the symposium Shared Visions Shaping the Future: Innovation, Sustainability & Mobility, who made the case for moving beyond the current paradigm of automotive design, manufacture, operational use, and end of life disposal in achieving the goal of a sustainable future for transportation. The event was held at the Ricardo Detroit Technology Campus on March 19, 2015 as part of the Ricardo 100th anniversary celebrations, as well as being broadcast live by PBS Detroit. The symposium panel comprised Margo T Oge, former US EPA director of the Office of Transportation and Air Quality and author of Driving the Future: Combating Climate Change with Cleaner, Smarter Cars, Sheryl Connelly, futurist of Ford Motor Company, Ann Marie Sastry, CEO and co-founder of Sakti3, Valerie Ferret, director of public affairs and corporate responsibility for Dassault Systemes, and Jean Redfield, president & CEO of NextEnergy. 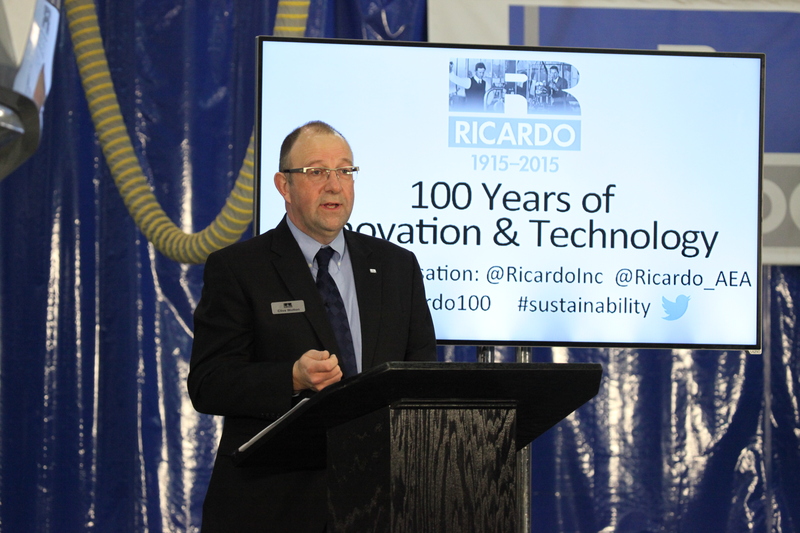 The symposium was moderated by Sharon Carty, executive editor at AOL Autos, and hosted by Ricardo, Inc. president Clive Wotton. 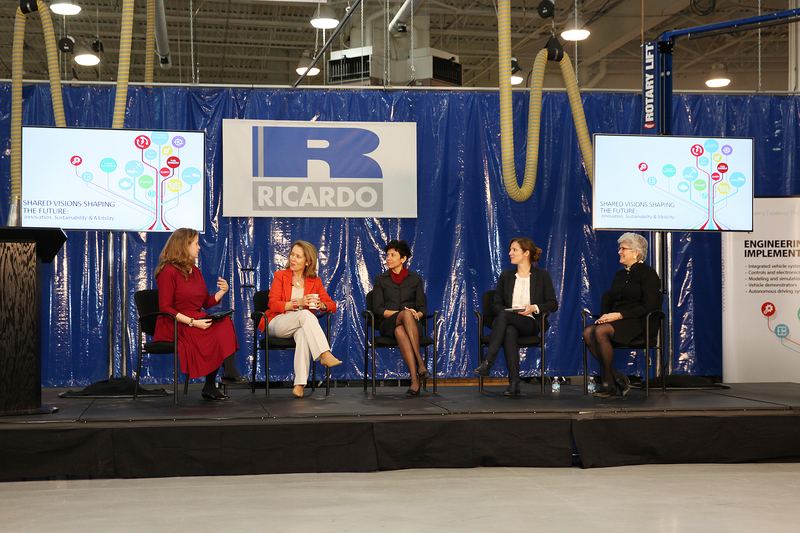 To watch the symposium Shared Visions Shaping the Future: Innovation, Sustainability & Mobility, visit http://www.dptv.org/video/ricardo-innovation-and-sustainability-symposium-2015/?cmpgn=dptvhl.